Rick Steltenpohl remembers when the lead-up to Hoopfest was just him and a few buddies racing against the coming dawn to have the tournament ready for the morning's games to tip off. It was semichaotic in those last moments, his crew hanging banners while dangling from rooftops, tossing the occasional basketball from those heights just for kicks. "We're just kids and having a blast. We were so into it and interested in creating this thing," says Steltenpohl, who is leaving the organization after 25 years at the helm of the massive event. Never forgetting that his love of the game was the fuel for all his efforts, he also took to the court with a team in each of those years. Now the tournament, far and away the largest of its kind anywhere in the world, has hit 25, making it older than many of the 25,000-plus players who will take to one of more than 400 courts around downtown Spokane this weekend. 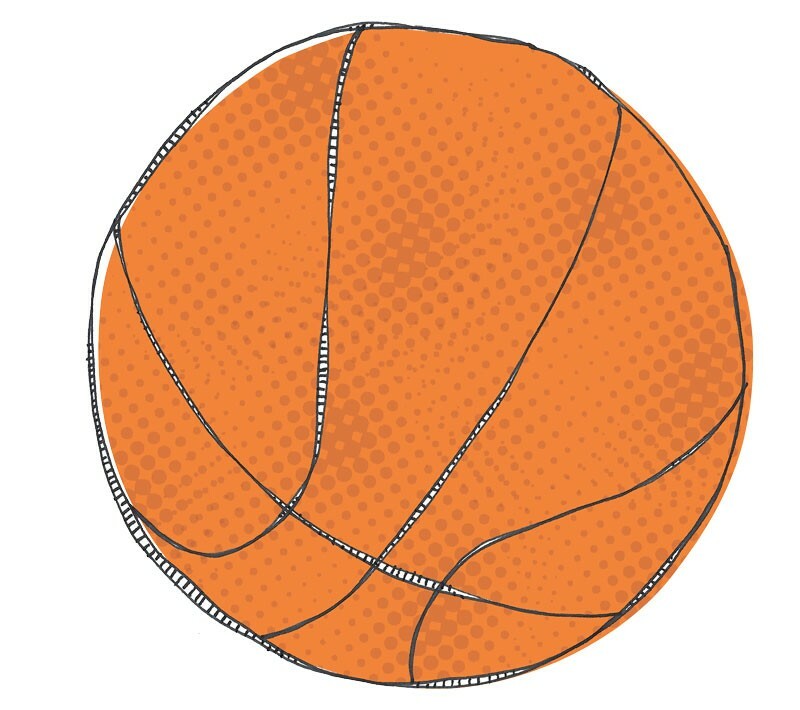 Ancillary benefits to the city have been resounding throughout the years, ranging from the millions in tourism dollars that arrive with the many out-of-town players and spectators, to the charity donations, to the permanent courts Hoopfest has installed around the city. 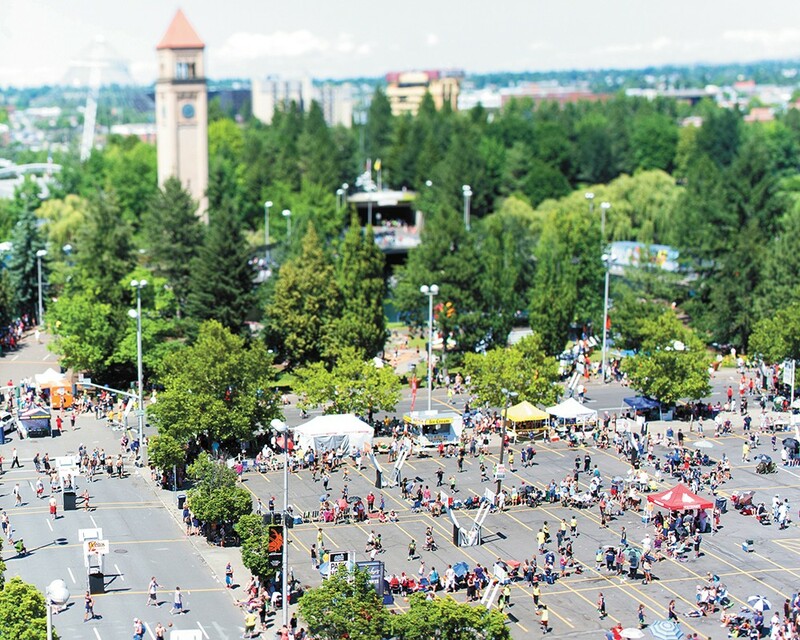 Couple Hoopfest with the fact that Spokane is also home to perennial men's and women's college basketball powerhouses at Gonzaga, and it's hard to argue against the reality that this city has become an unlikely hoops hotspot during this period. Even if Steltenpohl is moving on (read more about his transition on the next page), Hoopfest has cemented itself in the culture of the Inland Northwest, something he never counted on during those early years. "We never envisioned it having the impact it's had and the sustainability it's experienced. It's so much larger than anything else in the country, and it doesn't come easily. If it did, every [other city] would be doing it." Minuscule compared to the event we’ve come to know and love, the first year saw just 2,009 players hoop it up on the streets of downtown. Harmon Park in Hillyard became the first of 28 locations around the Inland Northwest to receive the donation of a basketball court from the Spokane Hoopfest Association. Having grown by 3,000 teams since 1990, Spokane Hoopfest needed just six years to become the largest 3-on-3 basketball tournament in the country. With an ever-increasing level of talent in the elite divisions and corresponding growth in spectator interest, the 1,500-seat Nike Center Court makes its first appearance at Riverfront Park. Lured to town by the basketball-crazed crowd, the WNBA’s New York Liberty defeated the Seattle Storm 67-62 at Spokane Arena on Hoopfest Saturday. An independent study finds that Hoopfest dumps $39 million into the Spokane economy in the form of hotel rooms, retail shopping, restaurants and other industries. A heat wave hit Spokane just in time for Hoopfest, with temperatures downtown hitting a record 95 degrees on Sunday of the tournament. A team comprised of four brothers from Tacoma wins the men’s elite championship. Aptly named Mommasboys, the team featured Austin, Kaleb, Ben and Aubrey Shelton. Coinciding with Hoopfest, Seattle native and NBA star Jamal Crawford hosts a charity game at the Spokane Arena featuring Jeremy Pargo, Nate Robinson, John Wall, Klay Thompson and Rodney Stuckey, among others. Former Gonzaga guard Matt Santangelo is named the new Hoopfest executive director, replacing Rick Steltenpohl, who will leave the organization after this year’s tournament. Steltenpohl has worked on the tournament since its inception.